A Pacific Gas and Electric review of a major outage last year has uncovered a list of safety problems at the utility's largest gas storage facility. The December 2015 outage, which left thousands of eastern Contra Costa County households without heat on one of the coldest days of the season, is still under investigation by state regulators. It came five years after a PG&E natural gas pipeline explosion drew attention to poor record keeping and unsafe practices in operating the utility's pipeline network. This time the utility did not consider the dangers associated with moisture entering its natural gas lines, and some of its operators did not trust some of the facility's storage controls, according to the company's report into the gas outage that affected customers in the communities of Discovery Bay and Byron last year. PG&E furnished a redacted copy of its root-cause analysis of last December's disruption at its McDonald Island facility on the Sacramento-San Joaquin Delta. The report's release comes several months after PG&E temporarily closed the island's storage field after finding fuel leaks at the site. Those leaks were discovered from inspections prompted by new state requirements that were the result of the massive gas leak in Aliso Canyon near Los Angeles. 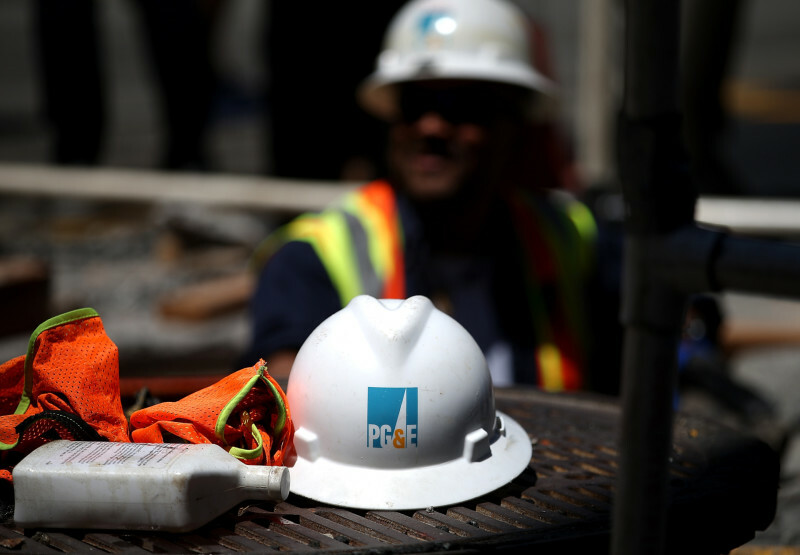 "PG&E's asset and risk management practices did not adequately consider the risks associated with liquid or moisture intrusion into the gas system," the report said. The company's investigation pointed to "an ineffective corrective maintenance system," as well as control room practices that "were not sufficient for a facility which has this level of complexity and risk." PG&E says the episode has led to significant changes in how it operates its natural gas facilities. "We can look at this event and really get a view on what happened, and help prevent something like this from happening anywhere on our natural gas system," said PG&E spokesman Nick Stimmel in an interview. But the company's critics say the incident and the utility's findings point to the need for tougher oversight. Consumer advocates say the report reveals the kinds of weaknesses in PG&E's gas transmission system that should have been corrected after the September 2010 natural gas pipeline blast that killed eight people, injured dozens and destroyed 38 homes in San Bruno. "Here we are ... years later and apparently it's business as usual with PG&E," said Mindy Spatt, a spokeswoman for The Utility Reform Network, who reviewed the gas outage report. "Why does it take some kind of a problem for PG&E to be aware of the need to properly maintain these gas facilities?" Spatt asked. "It appears from this report that they weren't doing that all along." Environmentalists say the report shows the state's natural gas systems need stronger regulation and that California needs to accelerate toward greener energy. "If you don't have operational and maintenance requirements and the utmost rigor of managing your facilities, you can end up with problems," said Tim O'Connor, director of the Environmental Defense Fund's Oil and Gas Program in California, who also reviewed the report. "Here, it looks to be a blend of both equipment and personnel that caused this impact." "This equipment is in need of continuous repair and updating," O'Connor said. "Sometimes valves break, sometimes human error can leave them open, and when that happens we can have impacts on the environment or impacts on our daily lives." O'Connor says the Discovery Bay gas outage, other problems at PG&E's McDonald Island facility and the massive Aliso Canyon gas leak all show the management and oversight of the state's natural gas systems need to be overhauled. "Only until we really diversify our energy mix away from being wholly reliant on natural gas to being more reliant on cleaner sources of energy can we have a better, more reliable system and reduce the impact that these problems can have on everyday people," he said. PG&E has submitted the report to the California Public Utilities Commission, which is investigating the outage. The CPUC's probe is not yet completed, according to commission spokeswoman Terrie Prosper. On Dec. 27, 2015, crews at PG&E's gas distribution control center noticed a drop in gas pressure along a system that brings the fuel to residents in Discovery Bay and Byron. The problem was tied to a station on McDonald Island, one of PG&E's three gas storage facilities. The company buys natural gas when there's less demand -- particularly in the summer when it's cheaper -- and stores it underground on the island until the higher-demand winter months. At issue was a regulating station that reduces pressure on natural gas lines. The one in this case, though, was frosted over and its pressure had become "erratic." To isolate the problem, PG&E shut off gas service to some 6,000 gas customers during one of the coldest days of 2015, with lows in the area in the high 20s. The root-cause analysis found that because a bypass valve was improperly left open, natural gas flowing from the storage facility did not pass through equipment designed to remove moisture from the gas as it moves into PG&E's pipeline network. That allowed moisture-laden gas from the storage field to reach a regulator station that monitors gas flow before it heads to customers. The cold weather that night caused ice to form inside the gas line. In investigating the outage, PG&E learned that there was no online "moisture analyzer" at McDonald Island. Operators had to take manual readings of moisture on the line, and on the night of the incident no readings were taken. The station tasked with regulating gas pressure between the storage facility and the company's customers did not protect against high levels of moisture in the pipeline. "Most stations have not been designed to protect against excessive moisture or liquid," the report stated. The moisture reading in the gas line was 14 times higher than normal, according to Anneliese Anderle, a retired senior engineer at the state's Division of Oil, Gas, and Geothermal Resources. Anderle, who reviewed PG&E's report for KQED, said it was cause for concern that some of the facility's operators did not trust storage controls. In fact, 11 of the 15 valve indication lights at a status board at a station on McDonald Island were not working a month after the outage.